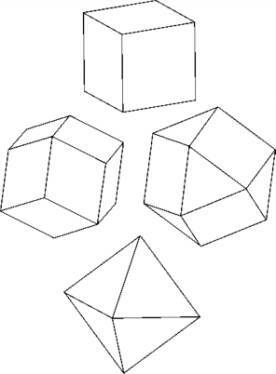 There exist families of four polyhedra each with interesting internal relationships. In the following illustrations the colors of the arrows have a special meaning. 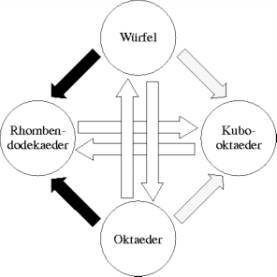 black arrow means: the middle of the edges transform to face centers. 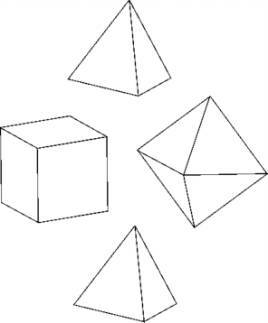 The white arrows appear in pairs and are pointing in both directions. 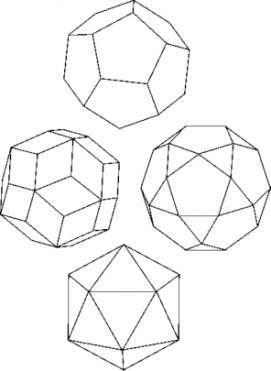 This reflects the wellknown duality between to polyhedra.